Caption slip reads: "Photographer: Mitchell. Date: 1958-01-10. Reporter: Lewis. Assignment: Planning Commission. 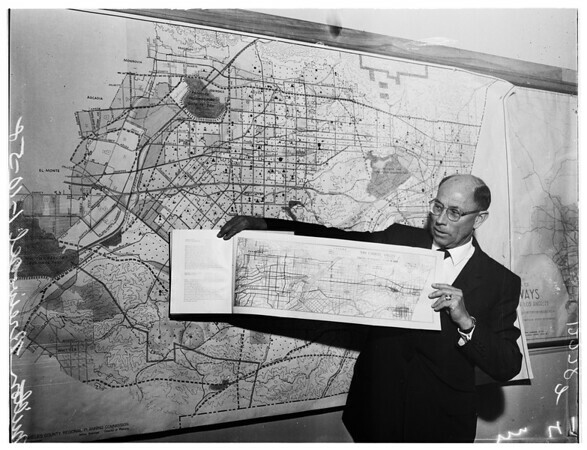 40/41: Milton Breivogel, Director of the Los Angeles County Regional Planning Commission looks over old and new maps to be in exhibit at the 35th anniversary open house celebration of the Commission next Friday at the County Engineering building, 108 West Second Street, LA".